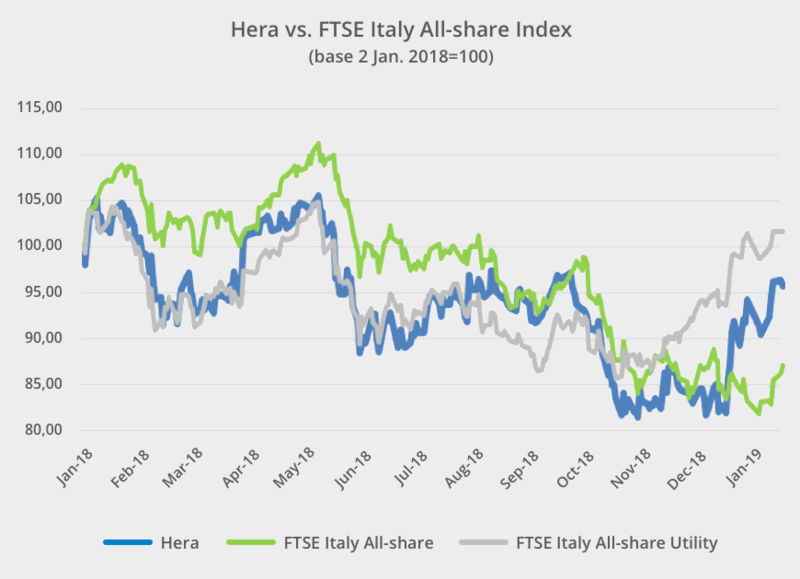 Despite the remarkable recovery achieved from 10 December 2018 onwards, Hera stock continues to trade at a discount compared to the consensus target price of broker coverage, presently at 3.28 euro. Most analyst ratings indicate buying suggestions, with only one neutral rating and no selling recommendation. The new Business Plan for the 2018-2022 period enhances Hera’s equity story by introducing new elements that investors will likely welcome. That could help the stock price better discount Company sound fundamentals and perspectives for years to come. The Plan focuses on a demanding programme of infrastructural investments that will lead to strong cash flow generation. Cash flow will fully cover the funding needs of investments and, at the same time, will provide for an attractive and visible remuneration of shareholders through earnings distribution, while preserving current financial soundness. Limited risk profile and regular cash flows over time – within a market scenario providing additional growth opportunities to a strongly positioned operator, such as Hera – are the building blocks of shareholder remuneration. Dividend per share will rise up to 11 euro cents in 2022, a 16% increase over the last paid dividend. Care for shareholder remuneration is clear, as Hera targets a dividend growth despite a much more sizeable investment plan, 50% higher than in the Business Plan presented 5 years ago – suggested by the particularly favourable conditions occurring in the markets in which we operate. Our commitment to a broad and effective communication of the strategic messaging will materialise through a comprehensive road show that will take us to the leading financial centres throughout Europe – among which, Milan, Bruxelles, Paris, Luxembourg, Amsterdam, Frankfurt, Zurich and Geneva – and then to the United States, where we will move from Boston to New York, and lastly to Chicago. Such communications commitment continues in the wake of a market relationship that we have built and cultivated over the years, as proven by the busy schedule of investor meetings that we also had in 2018, i.e. the first year in which the MiFID II entered into force. 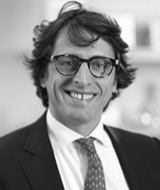 The European Directive has introduced new rules in the relationship among brokers, issuers and buy-side, dramatically reducing the broker contribution in reaching target investors and, in fact, limiting the opportunities for listed companies to meet with investors unless they significantly increase their Investor Relations budgets. In our case, provided the consolidated relationship with the buy-side and the credibility we enjoy, the introduction of the new rules did not affect either the number or the quality of meetings: in 2018, considering one-on-ones, group meetings, conference calls and Company visits, we have met with 316 investors, of which 184 foreign investors. Moreover, we have extended our scope by visiting Australian investors for the first time. The effort for transparency in the relationship with the financial community, once again was aimed at achieving effective online communications: our second spot in the Italian Webranking proves that rich information contents and continuous updates provided on Hera website fully meet the expectations of stakeholders. In that spirit, believing that we have a strong and attractive equity story to tell, we are preparing to the next busy weeks during which we will be in dialogue with institutional investors.